Got Pucks™? Then you need a Puck Pack™! Life on the road is tough. Store and transport your Puck™ fixtures with ease, as well as keeping them safe and looking good! 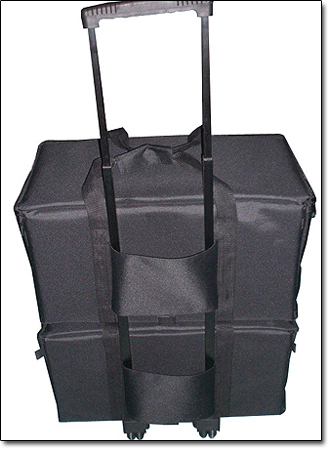 The Puck Pack Rolly™ will also hold any 4 Puck™ fixtures securely between 3 removable velcro padded dividers, and is equipped with a removable suitcase-style wheel/handle assembly. 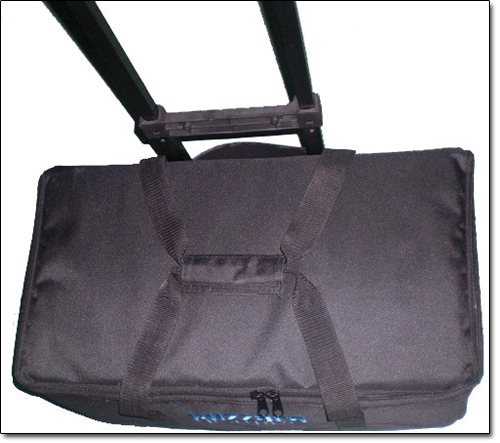 Combined with the Puck Pack Carry™, it serves as the bottom half of an awesome 8 Puck™ rolling mobile solution! The Puck Pack Rolly™ also has a convenient front storage pocket to hold any accessories you like! 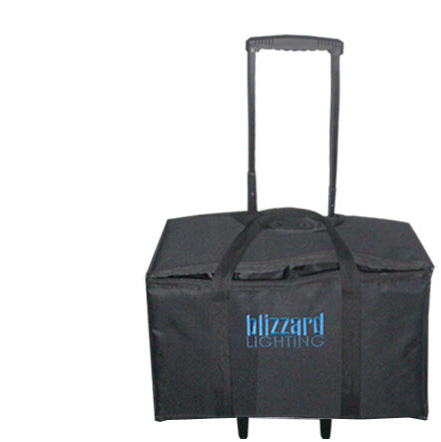 Features a way cool blue embroidered Blizzard Lighting logo, are very rugged, and made from 600-denier black ballistic nylon material. So hit the road with style with some new Blizzard Puck Pack™ soft lighting bags today!